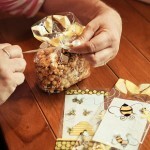 Our light, crispy, sweet, and buttery Debbie’s Delights Honey Corn is handmade with quality ingredients and peak flavor. Our honey is made naturally by the busy bees of The Honey Jar in Honeyville, Utah. All of Debbie’s Delights are truly “homemade,” whipped up batch by tasty batch in Debbie’s home kitchen. Every bowl is carefully monitored and cleared of any unpopped kernels. Every batch is baked and cooled to perfection. 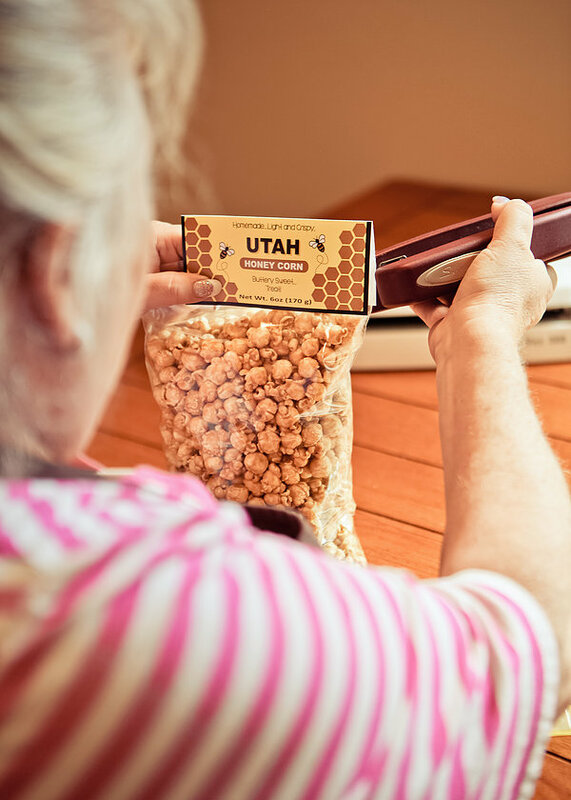 Grab a bag today and enjoy the sweet combination of Utah honey and corn. 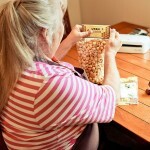 Debbie and Bob have been making caramel corn for more than 25 years. 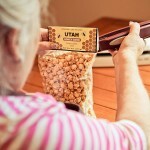 They live and create their delicious Utah Honey Corn, Caramel Popcorn, and varieties of fudge in their home kitchen in Clearfield, Utah. Their buttery treats are mixed, stirred, and loved to fruition by Debbie and Bob. They are as fond of each other as they are of serving you the best Honey Corn you have ever tasted. 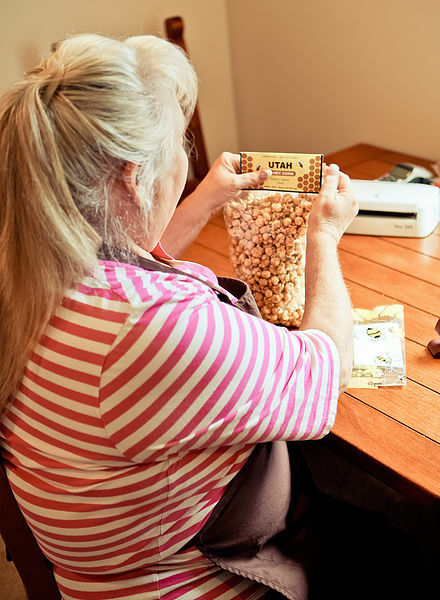 When Debbie was a little girl, her mother, Ruth, introduced her to an old family Caramel Corn recipe which she made often with her. Debbie keeps those memories alive every time she stirs up a bubbly batch. 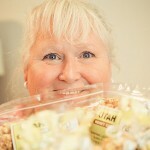 Utah Honey Corn is, however, a modern creation of Debbie’s. 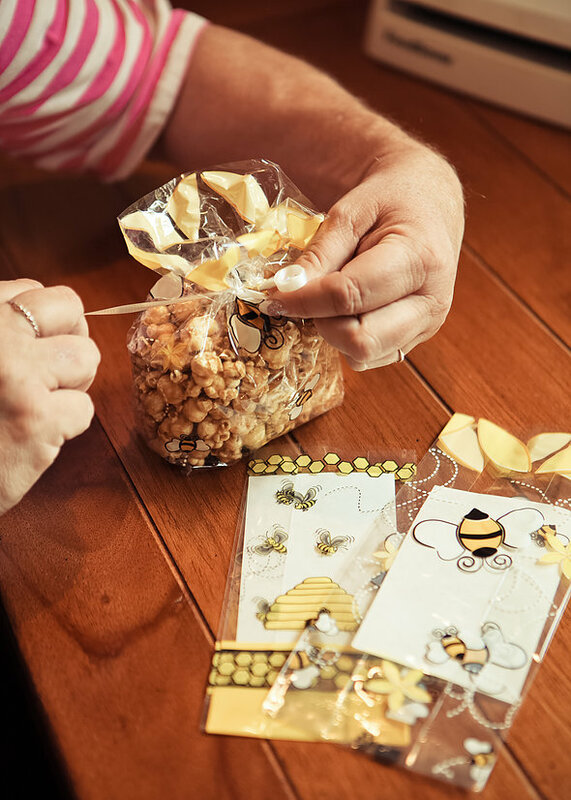 After sampling a large variety of honey, Debbie and Bob believed that the honey from The Honey Jar in Honeyville, Utah, was the best honey that they had ever tasted. 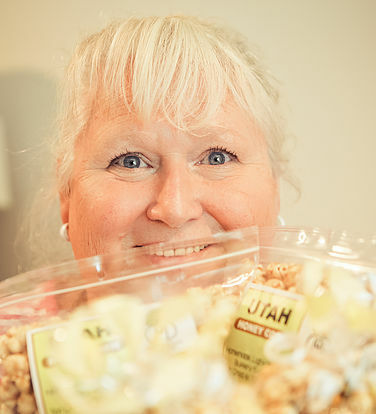 They created a new recipe for Utah Honey Corn with a new kind of sweetness in mind. This entry was posted in Food and tagged Food, popcorn on May 5, 2017 .